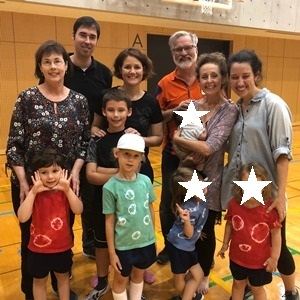 This is a picture of the Kid’s Sport’s Day at their Japanese Pre-School. It turned out a fellow missionary’s parents were also in town helping out. The crazy part is our parents go back many many years and worked in the same Presbytery in Virginia about an hour away. Who would’ve thought these two Virginia kids would grow up to be missionaries in Japan in the same city and their parents would be watching their grandkids together at their Japanese school so many years later!